Here at Borthwick Castle we are seeing a sharp rise in requests from the corporate world, interested in booking the Castle for meetings, team building events, private dinners and parties. 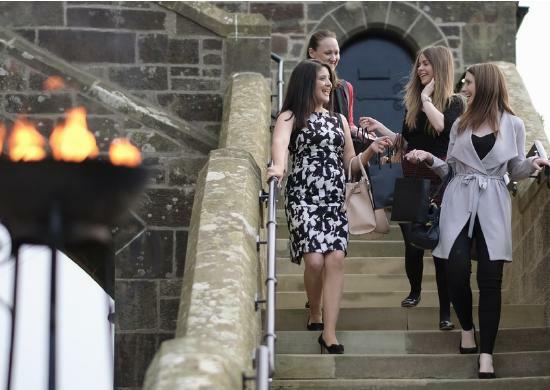 With such a stunning and historic venue so close to Edinburgh city centre and Edinburgh Airport who wouldn’t want to escape a city boardroom for the far more inspiring and tranquil surroundings of Borthwick Castle. 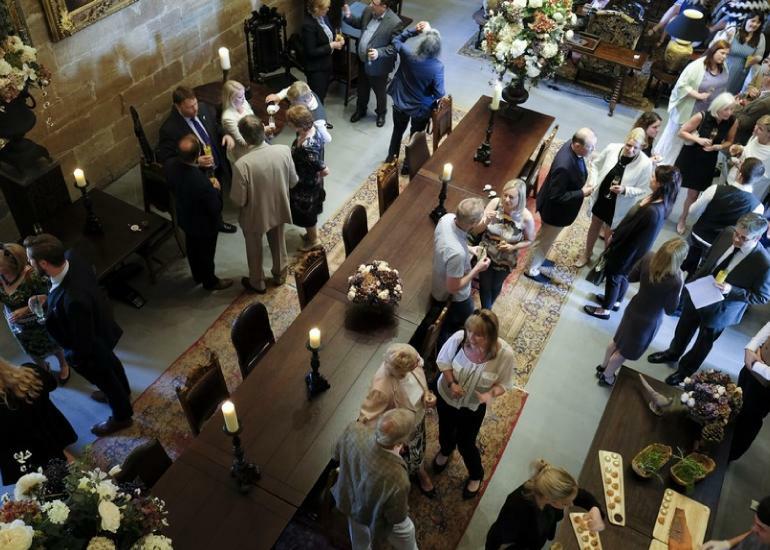 On Thursday 9th June, after months of planning, we opened our doors to 60 of Scotland's leading corporate lights for a wonderful taster of all that Borthwick Castle has to offer the business world. 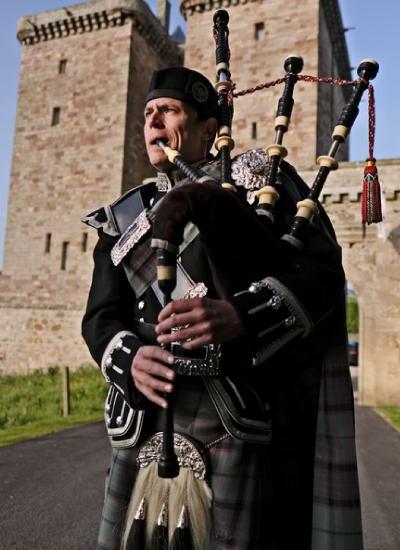 We were blessed with a gorgeous evening; the sun was shining and our piper played as guests climbed the Castle’s dramatic stone steps before being treated to a few magical hours of fine food, music and luxury in the impressive surroundings of the Castle's Great Hall, State Room and Garrison. 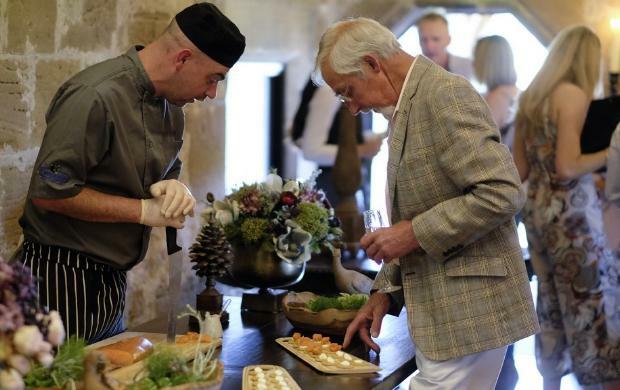 Having recently teamed up with Hickory Food as the Castle’s exclusive caterer, guests were served up a delicious mix of canapes and bowl food using the finest produce from Scotland and around the world. Pastry cones with Shetland smoked salmon mousse and keta caviar, lobster fishcakes and yuzu crème fraiche, carpaccio of Campbell Brothers venison with Cumberland syrup….each mouthful was delightful and savoured by our guests throughout the evening. Hickory’s talented team of chefs even set up a special tasting table in the Great Hall where guests could watch them in action, hand carving Belhaven smoked salmon and curing it on the spot with a Pickering’s Gin and lime atomiser. Borthwick’s fabulous bar team were on hand serving up our signature 1430 cocktail, made with Edinburgh Gin, Campari, blood orange juice and a dash of mead in honour of our medieval past. 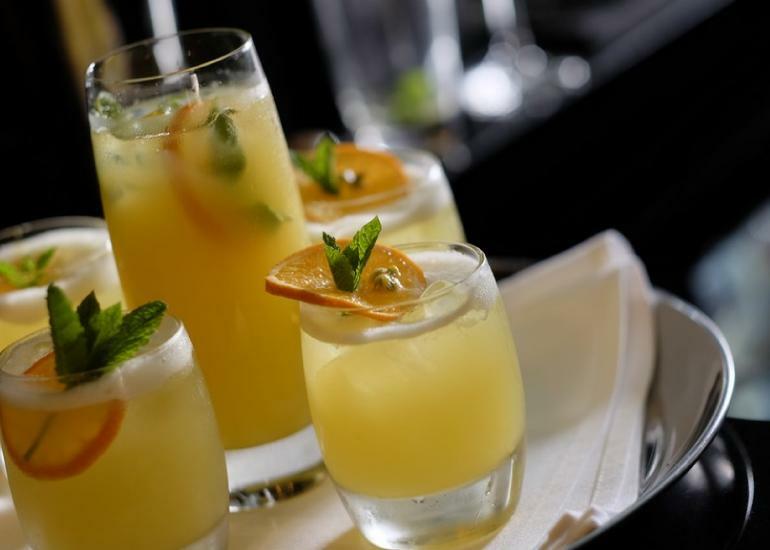 Guests could also choose from a Pimm’s Royal, a passion fruit Mai Tai, a mint and apple-infused Gin Jar and two delicious mocktails – plus plenty of chilled champagne from our dungeon cellar. We were also lucky enough to have Andrew Wilson, our local whisky expert, on hand to treat guests to an expert tasting of some of the finest malt whiskies that Scotland has to offer, including Highland Park, Ardbeg, Dalmore, Balvenie and our local single malt, Glenkinchie. With celestial harp music playing from the minstrel’s gallery overlooking the Great Hall, our guests happily explored hidden Castle corners, relaxed in the comfortable seating of the State Room and enjoyed Castle tours giving a fascinating snapshot of our 600 year history and the incredible refurbishment which has taken place. What a great team effort from all that resulted in a truly enjoyable evening where we forged new friendships and showed what a remarkable and unique events venue Borthwick Castle really is.